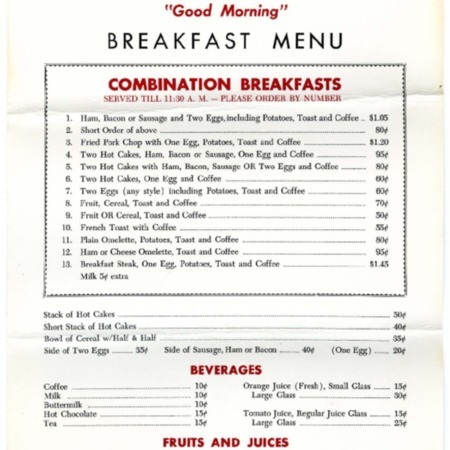 Glauser's cafe menu. "Logan's house of hospitality." Breakfast menu. 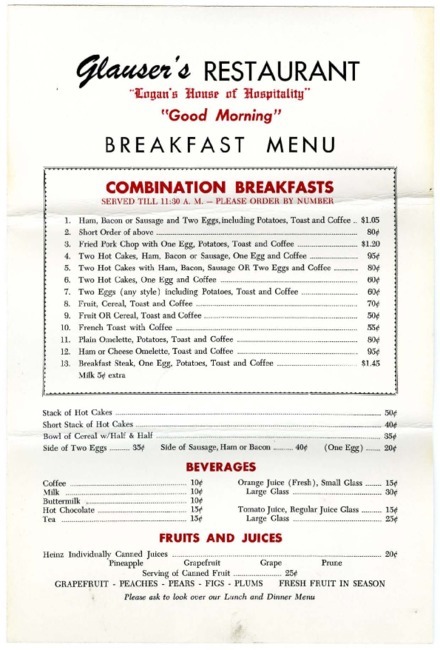 “Glauser's restaurant menu, 1964 to 1969,” Highway 89, accessed April 22, 2019, http://highway89.org/items/show/10253.